Since my latest and most exciting career change of becoming a college instructor, I must admit…. 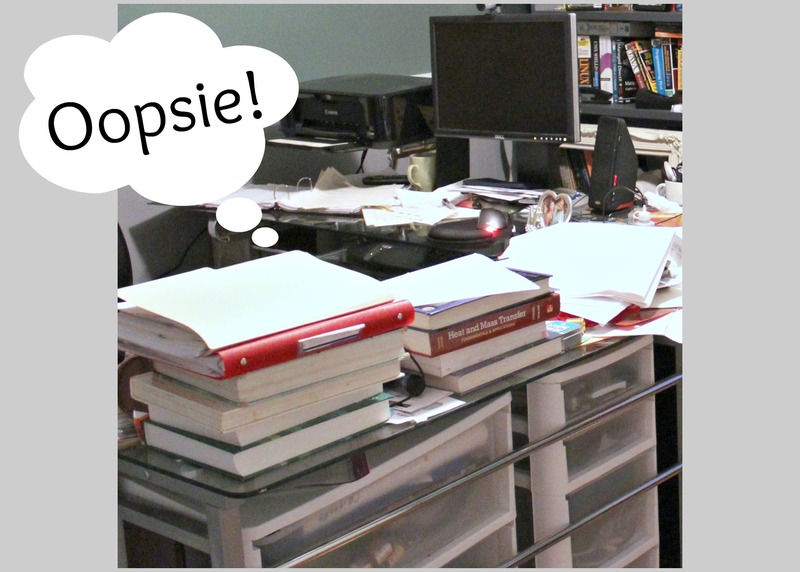 our home office has become a little — actually, a LOT, out of control! My poor husband…. I pretty much took over his desk, his computer, and his home office has now been re-titled as “our” home office. So I headed to one of my favorite stores ever, The Dollar Store! Instead of starting in the more traditional “office supply” aisle, I started out in the “kitchen” aisle, and boy, did I hit the jackpot! See that super cute fruit basket?! 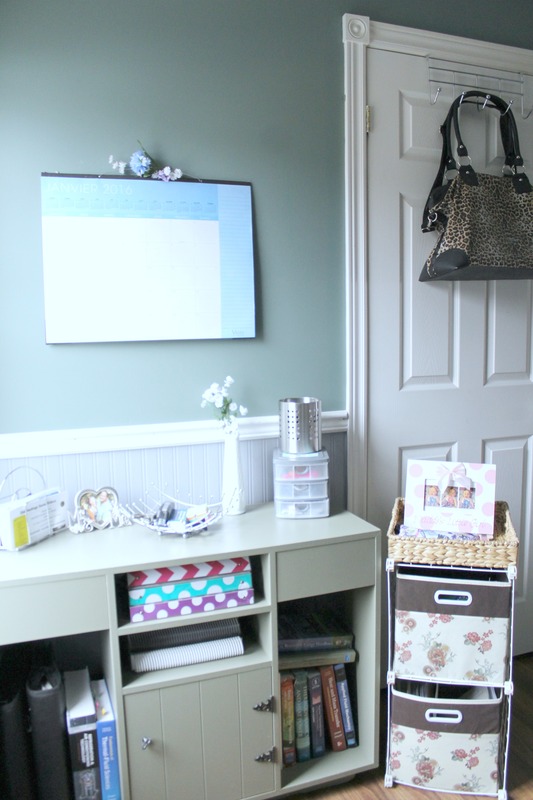 Well guess what… now it’s an office supply basket! It was just so pretty, I had to have it! My new pen/pencil holder is actually a kitchen utensil holder…. 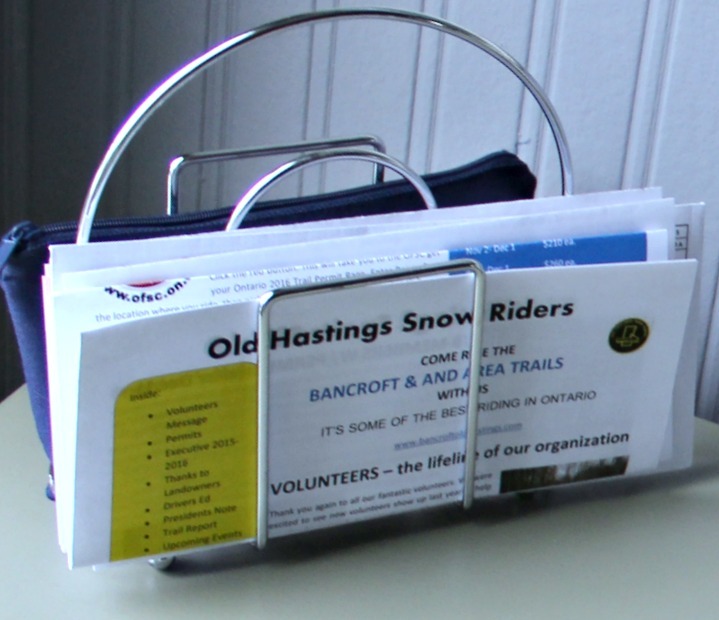 I chose it over a typical stationary holder because it is much larger, and it hides everything…. so much prettier! 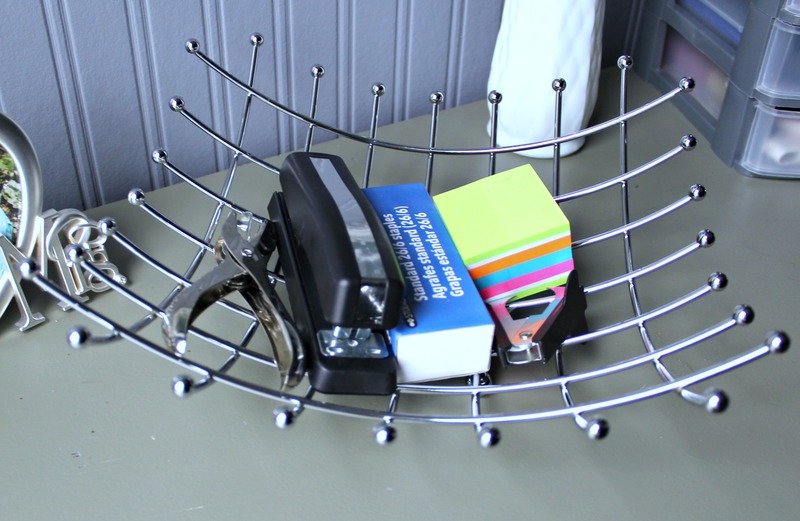 See this cute little cube wire rack organizer? Dollar Store! And the same with these cute little floral print baskets…. perfect for hiding those messy file folders and great for extra storage too! 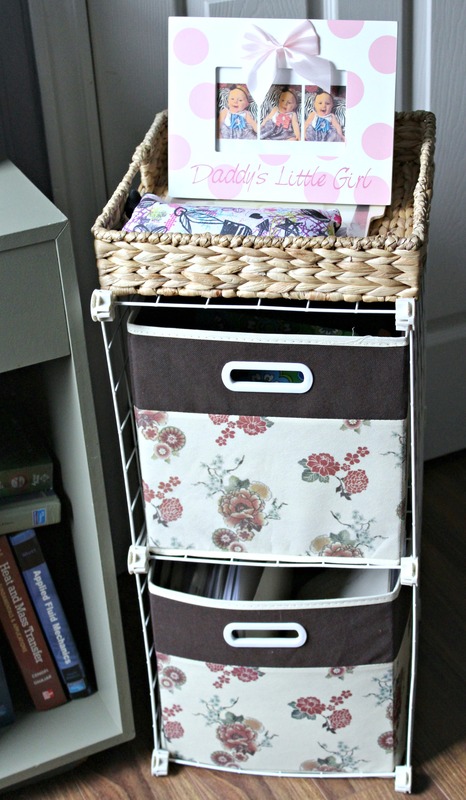 This cute little 3 drawer organizer also came from The Dollar Store! 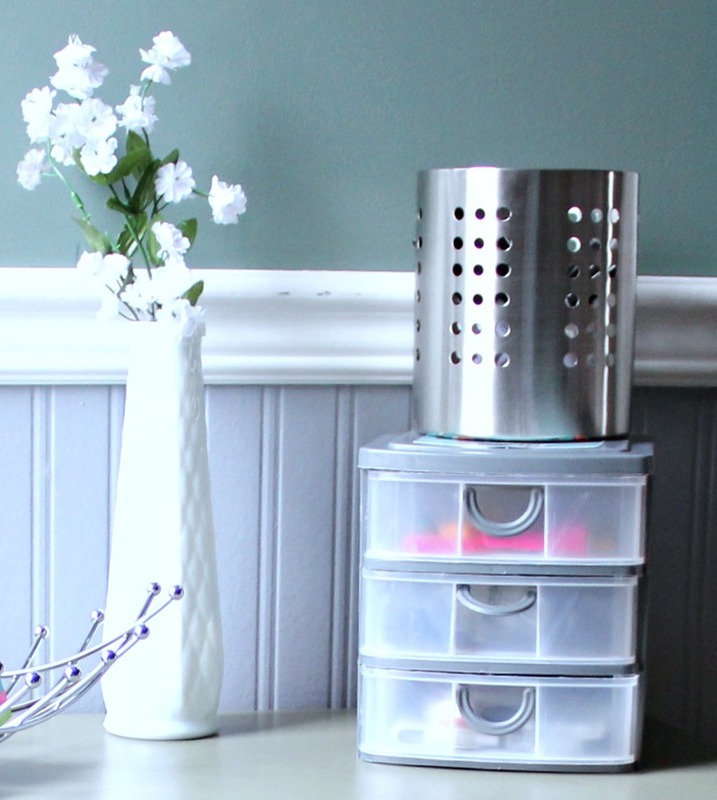 Its perfect for hiding my paper clips, USB sticks, and any other super tiny “office-junk”. 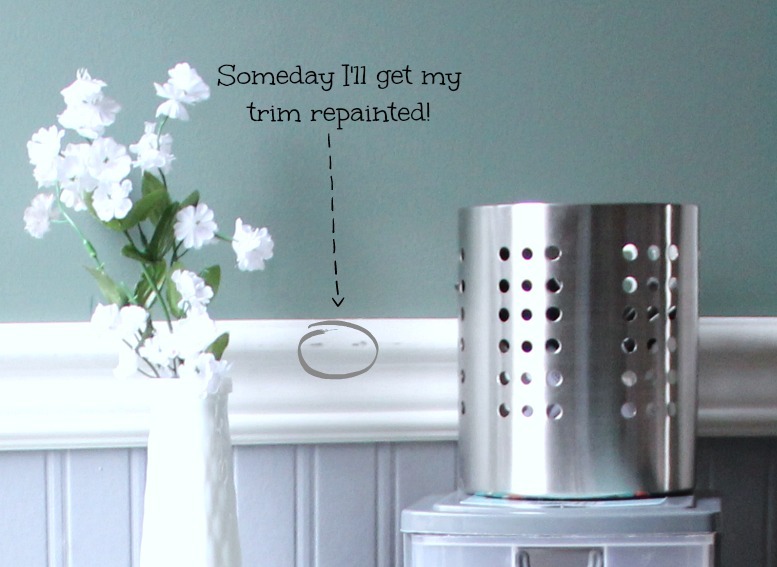 I also found this 5 hook hanger at….. The Dollar Store! 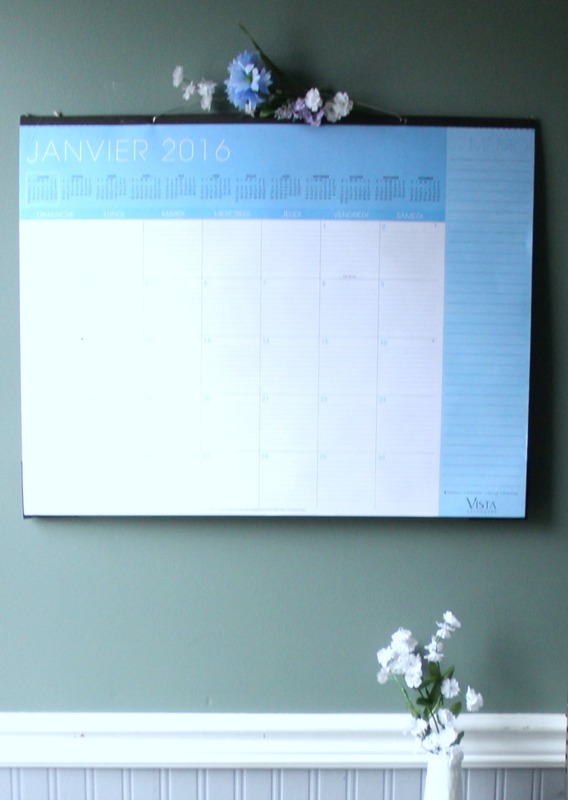 And its chrome — it totally matches the rest of my new organizational items!